Three Washington Statues was commissioned by the United States Army Band "Pershing's Own," led by Colonel Thomas H. Palmatier. Washington D.C. contains some of the world's most iconic monuments, memorials and statues. 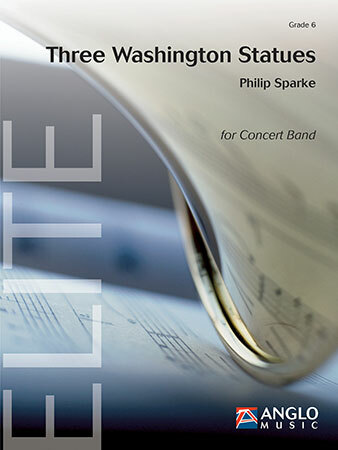 Philip Sparke has chosen three of these as the inspiration for this piece. "The Lincoln Memorial" in the form of a Greek Doric temple in which the composer depicts the grandeur of this monument; "The Martin Luther King, Jr. Memorial" on which steps the iconic speech "I have a dream" was given - the music is both reverential as well as powerful referring to Martin Luther KIng's speech, and the "Encore" statue in memory of the world famous African-American composer, pianist and bandleader Duke Ellington. In this final movement, Philip Sparke catches the virtuosic, energetic and unique dynamism of Ellington's music.